Are you experiencing dizziness, nausea, difficulty concentrating or visual focusing? Do your symptoms worsen when you move into certain positions? Does this ever affect your balance? If you’re suffering from any of these symptoms, you may be experiencing Benign Paroxysmal Positional Vertigo (BPPV). Yes. Full Potential Physical Therapy is highly trained in the treatment of BPPV. It can be treated with repositioning maneuvers that help guide the inner ear crystal back in the correct position. Usually, there is a noticeable difference right away and resolution within a few treatments. Curious about what a BPPV Evaluation may look like? Below is an overview of what your first appointment with BPPV may be. Please be aware that we specialize in individualized care, your condition may need more or less treatment than what is listed below. 1. 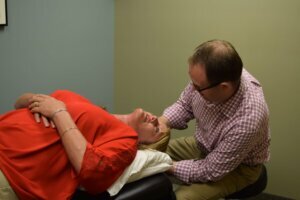 Depending on the severance of your vertigo, your physical therapist may conduct a number of assessments to decipher if your symptoms are truly BPPV (indicating an inner ear crystal is out of position). Pictured is one assessment that may be given; Tami was asked to follow William Johnson’s (licensed Physical Therapist) finger with her eyes only. 2. Once evaluated and BPPV is found to be the root of your symptoms, your physical therapist will guide you in specific positions. The goal of these positional maneuvers is to guide the crystal that has been dislodged into the correct position. 3. After the positional maneuver, you will sit up, helping the crystal move back into its place. Your Physical Therapist will be guiding you through each step, making sure your symptoms have resided before going into the next re-positionable maneuver. 4. Your PT will then guide you into the next position, again to help the crystal move into it’s correct position. After these steps, there usually is a noticeable relief in your symptoms. Each of these steps should only be performed by a trained Physical Therapist. If you are experiencing dizziness, nausea, difficulty concentrating, or visual focusing, you may be experiencing BPPV. Visit our Vertigo page on our website for more information. 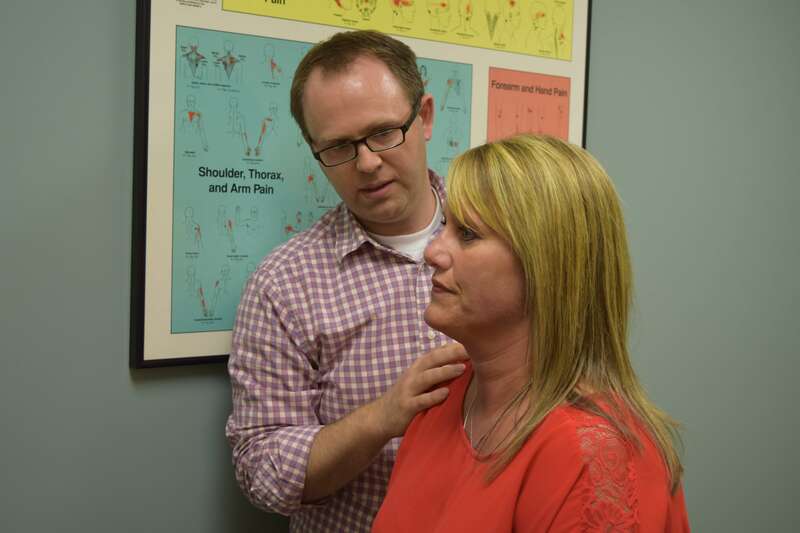 Get relief today; call 616-392-2172 to schedule your appointment.